IQS Directory provides an extensive list of hydraulic clutch pump manufacturers and suppliers. 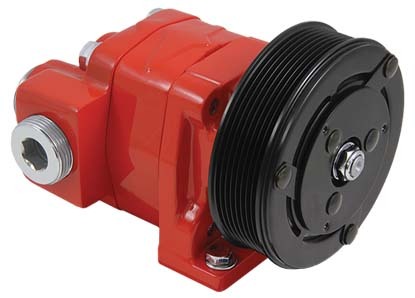 Utilize our website to review and source hydraulic clutch pump manufacturers with our easy-to-use features which allow you to locate hydraulic clutch pump companies that will design, engineer, and manufacture hydraulic clutch pump for your exact specifications. Our request for quote forms make it easy to connect with leading hydraulic clutch pump manufacturers. View company profiles, website links, locations, phone number, product videos, customer reviews, product specific news articles and other production information. We are a leading manufacturer directory who will connect you with the right manufacturers whether you are looking for clutch driven hydraulic pumps, electric clutch hydraulic pumps, or high pressure hydraulic clutch pumps. Our hydraulic pumps are tested to work 100% of the time. We are consistently working on the latest innovations and we are the experts at creating pumps including: gear pumps, piston pumps, dump & dry valve pumps and much more. We can create pumps that adhere to your specifications and come at an affordable price. Give us a call today! Since 1986, Hydraulic Technology, Inc. has been providing hydraulic clutch pumps. Throughout the years, we have developed satisfied customers from around the world by giving them the best resolution for their application needs. We deliver orders on schedule and offer technical support after your product is delivered. Choose HTI today for all of your pump needs. Hydraulic clutch pumps are systems in which a clutch assembly is accompanied by a pump that allows the user to apply the required pressure to either engage or disengage the clutch system. Hydraulic clutches, like all clutches, are designed to either connect two shafts, locking them together to spin at the same speed, or to decouple the shafts, allowing them to spin at different speeds, as is necessary to shift gears or decelerate. Hydraulic pumps, when used in clutch systems, use incompressible fluids, such as oil, to transmit the force necessary to connect and disconnect an engine to the transmission’s input shaft. Clutch systems such as these are used in agriculture, automation and robotics, transit, automotive, transport, military, aerospace and construction industries among others. All kinds of engines and lift systems, ranging from conveyor belts to snow plows and tractors, utilize the power of hydraulic pumps to effectively move heavy loads with minimal effort. Because these assemblies are used in vehicle power steering and breaking systems, it is essential to select the proper pump for a given application. Considerations include torque rating, power, diameter, cross-sectional width, length, weight, rotational speed and maximum pressure. Additionally, application-specific hydraulic clutch pumps may be either spring-actuated or spring-return. The former requires pressure to disengage the input shaft while the latter uses the hydraulic fluid to engage the power source. 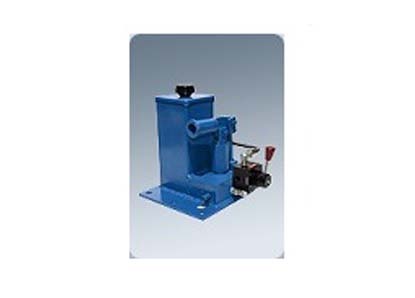 Despite their close connection with engine components, hydraulic clutch pumps are generally foot or hand-powered pumps. In a basic vehicle design, the clutch pedal is used to engage a hydraulic piston pump. The pump may be mounted directly to the clutch, or mounting brackets may be used. Compressing the pedal forces a piston into a hydraulic cylinder, pressurizing the hydraulic fluids already in the enclosure. The mechanical energy created in this manner is transferred from the engine to related devices such as the transmission and drive wheels, allowing the driver to steer, shift and decelerate as needed. When the clutch is released, the piston is withdrawn. This action draws in hydraulic fluid from a reservoir, which will be compressed with the next engagement of the pedal. The engine environment and close proximity to possibly corrosive hydraulic fluids necessitates pump components be made of materials that can handle high temperatures created by friction as well as stand up to corrosion. Die cast stainless steel and cast iron components are popular choices, though ceramics such as silicon carbide and alumina are also applicable in some instances. The fluid used must be compatible not only with the hydraulic clutch pump parts but also with the engine itself. Pumps may be mounted directly to the clutch, or mounting brackets may be used. Hydraulic Clutch Pump - Metro Hydraulic Jack Co.